Could that old vase in your attic be valuable? We talked to a local appraiser to find out. The popular PBS series Antiques Roadshow is coming to metro Detroit this summer. Its 2018 tour roster includes distinctive and historic locations across the country, including Louisville, San Diego, Tulsa, and Sarasota. Michigan’s own Rochester Hills will be the host location on June 14 for appraisal and filming. While the specific “historic location” is yet to be announced, the show will premiere in 2019. Now on its 22nd season, Antiques Roadshow last came to Detroit in 2014 where host Mark L. Walberg, appraisers, and residents discussed Motown memorabilia, albums, paintings, and more. Although tickets for the 2018 show are no longer available, appraising items found in your home — whether in the depths of your attic or passed down from a grandparent — can be done any time and with the help of an expert appraiser. Caroline Ashleigh, a certified appraiser who works with the Antiques Roadshow and has her own appraisal firm here in Michigan, inspects everything from textiles to collectibles, but specializes in fine arts. Although the process is a multifaceted one, “[for] antique appraising, whether you’re appraising an antique or work of art, the objective is to assign a value,” says Ashleigh. This could be for resale purposes, insurance values, or other personal reasons. But it’s important to consult a credentialed expert if you suspect that an item has value. “To a casual collector, appraisal and appraising can appear to be very opaque and kind of intimidating,” notes Ashleigh. “But an appraiser can make the process much more transparent and approachable.” Whether it’s a family heirloom that a guest wants to know the history of or the insurance value of a collectible, she notes that appraisers will pay attention to a host of factors including the object’s age, rarity, condition, authenticity, and provenance (or the history or lineage of ownership). But Ashleigh stresses that with potentially valuable items you need to find the right person. “You wouldn’t want to take a painting to an expert in coins and currency … you want to take the object to the appropriate type of appraiser,” she explains. There are generalists, who focus on a broad range of items, and specialists, who hone in on specific pieces. Regardless, experts should be tested by a professional organization and the Uniform Standards of Professional Appraisal Practice (USPAP). On Antiques Roadshow, Ashleigh notes that guests will bring in family heirlooms, fine art, and more. But the most popular tables —with the longest lines — are for paintings, collectibles, and sports memorabilia. With individuals asking for a range of appraisals, Ashleigh comes across a wide array of Michigan related items. 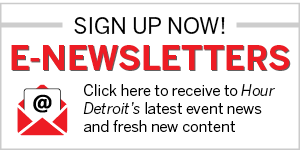 Past treasures include those associated with Ernest Hemingway (who spent summers in Northern Michigan), Native American artifacts from Fort Detroit, mid-century furniture that was manufactured in Grand Rapids, and sports mementos from the Detroit Tigers. 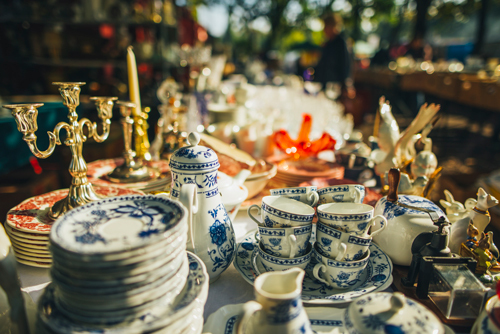 Aside from finding items of value in your home, some may want to become collectors themselves. But whether your appraising or buying antiques, its always important to educate yourself and find the right professionals. “We all begin somewhere. As long as you buy what you [love] and within your budget, you really can’t go wrong,” says Ashleigh.